Mike McDonald served as coach of the University of New England Noreasters for the club's first five seasons in the league. From day one, he had been instrumental in the development of the league up until his untimely death in December 2005. Connor “Dad” Fleming was a phenomenal pitcher throughout all four years of his club baseball career. 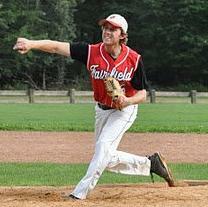 Consistently a top pitcher in the NECBA, Fleming led Fairfield to three straight division titles and into the championship game in his senior year. His best performance came in the 2011 playoffs, when he came into a tie game in the top of the 5th inning with one out in the semi-finals, and threw 8 and 2/3 innings without giving up an earned run until Fairfield won it in the bottom of the 14th. He then proceeded to start the championship game, putting up two more scoreless innings. He also threw a perfect game against Bard in the 2010 season. Connor was a three time pitching MVP from 2009-2011. He is one of the best pitchers the NECBA has ever had. The New England Club Baseball Association was founded by Pete Michel in the spring of 2000 after the University of New Hampshire cancelled its varsity program. Pete kept the Wildcats alive as a club and formed the league with three other schools. He then stayed on as coach of the Wildcats and led them to three championships in the first five years of the league's history. Adam Leith became the first player in league history to be nominated as an all-star four times. His career culminated with leading the team in his last season in 2014 to make the playoffs for the first time since 2007. 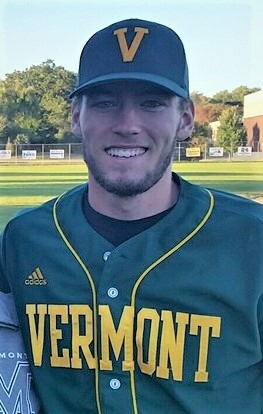 Ryan Connor, University of Vermont 2018, is the first Catamount to ever be inducted into the New England Club Baseball Hall of Fame. Ryan, a 4-time NECBA All-Star and 3-time Northwest Division pitching MVP, helped lead UVM to 3 divisional titles and 2 championship game appearances over his career. He was the winning pitcher in more than 20 games over the course of his career and helped the Catamounts reach the playoffs in each of his 4 seasons. A 2014 graduate of Bellows Free Academy, St. Albans in Vermont, Ryan graduated with a Mechanical Engineering degree from UVM in May of 2018.